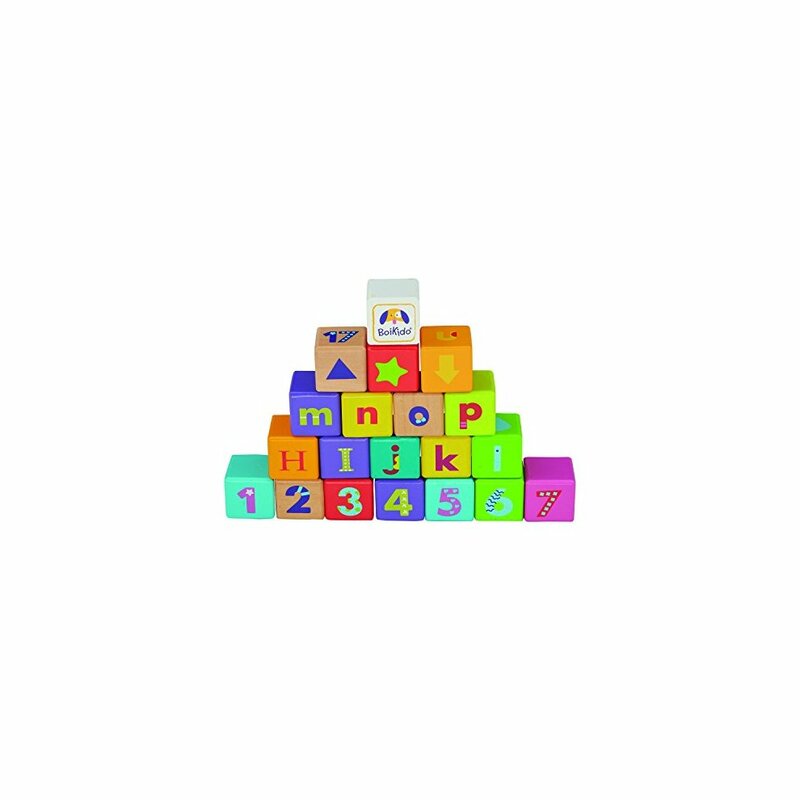 Stack, count, spell Your little one will love these brightly colored stackable blocks that have letters, numbers and shapes painted on the sides. Help develop hand-eye coordination, fine motor and counting skills. 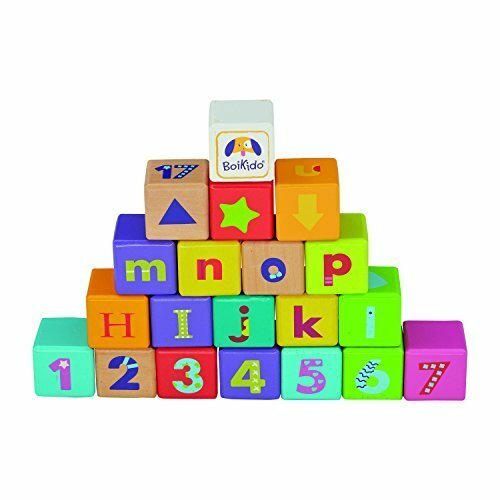 Made from wood, these blocks are a lovely addition to any child's collection. A Dr. Toy's Alumni, Boikido has been dedicated to creating quality, safe wooden toys for children since 2003. Dr. Toy's Alumni are a group of exclusive stand-out creators limited to a maximum of 30 outstanding companies that are the very best designers who inspire children and parents. Modern French design, environmentally conscious production and modern design makes Boikido toys unique. All Boikido toys pass or exceed U.S. and European safety standards and have a distinct whimsical look that champions active, self-driven play for children.